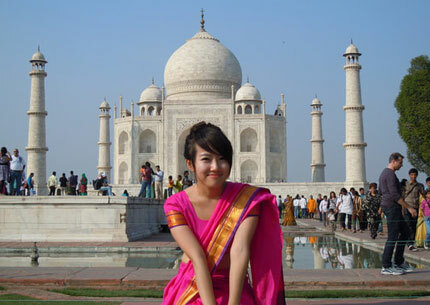 After a transfer from your hotel, visit the famous Taj Mahal, the famous wonder of the world. See Agra Fort, a UNESCO World Heritage Site. Known also as Lal Qila, Fort Rouge or the Red Fort of Agra because of the red-sandstone it was made of, it was the seat of Mughal Empire. 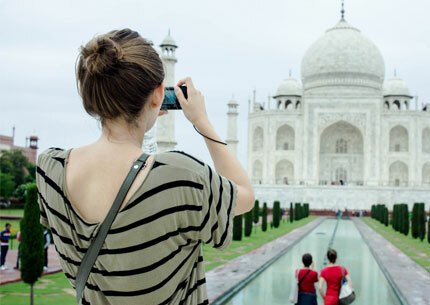 Discover the Tomb of Itmad-ud-Daulah and visit Mehtab Bagh, which has an exceptional sunset view of the Taj Mahal, and spend the night in Agra. After breakfast, drive to Jaipur and visit Fatehpur Sikri - the second capital of the Mughal Emperor Akbar. Spend the night in Jaipur. 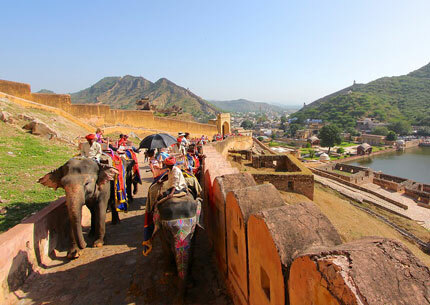 In the morning, meet your local guide and visit the Amber Fort. 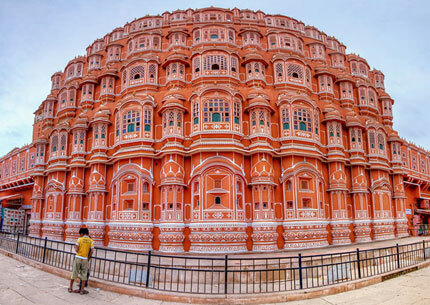 En route, enjoy a photo-stop at Hawa Mahal - the palace of wind. Later, visit the Jantar Mantar Observatory, City Palace and the apartment housing museums with an array of textiles, costumes, arms, weapons and paintings. Spend another night in Jaipur. Drive to New Delhi and proceed to The Red Fort; visit Qutub Minar, India Gate and the Lotus Temple. During your tour, drive past the President's House, Parliament House and the Government Secretariat Buildings. Spend the night in New Delhi.